Windows Movie Maker 2012: A freeware video-editing tool for a beginner which is as good as costly alternatives like Camtasia for Windows. 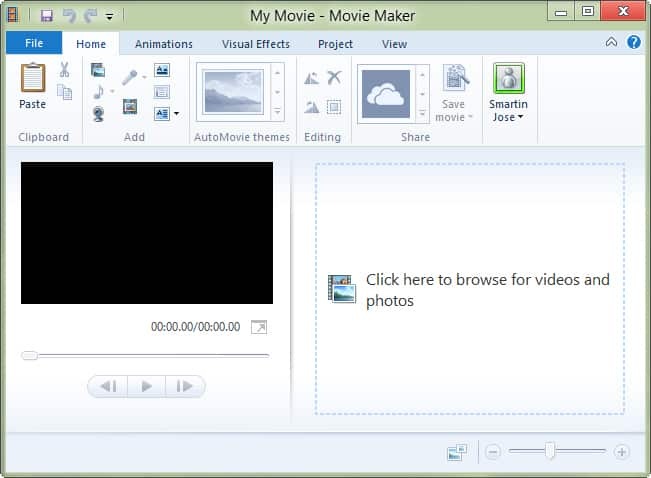 In this 2012 upgrade, Microsoft enhanced the sharing features of the movie maker. You can now publish a finished video directly to YouTube, Facebook, Flickr, Vimeo, or send it online to a SkyDrive folder. Windows Movie maker lets you add videos to project from offline and internet sources, and edit it by adding text, animations, sounds and visual effects. The newly introduced video stabilization technology enables automatic correction of unsteady video samples. Microsoft has come into an agreement with several web services to provide copyright-free audio files to the application- they can be accessed in your movie projects using an option. Windows Live Messenger 2012: It needs no introduction- now the messenger is more social and intuitive than it was before. The best thing is that you use it as a desktop client for chatting with your Facebook, Yahoo Messenger, and LinkedIn contacts. You can also update public status messages from within the application, and it will be sent to all connected media sites. The Social Highlights feature in Windows Live Messenger lets you view the social feeds (photos, videos, links, updates) from several web ports. Windows Mail 2012: It comes as a freeware substitute to Microsoft Outlook email software found in their Office package. It can be used to send, receive email, read web feeds, update contacts, sync and edit calendar entries and access news groups. One disadvantage of this application is that you’ve to configure email accounts manually, and some may find it difficult at first. Windows Live writer: A very useful application for web publishers, bloggers and writers. It comes with inbuilt tools for formatting, editing and publishing articles to all popular web platforms. Windows Photo Gallery: A simple in looks, but advanced photo management software with online sharing and editing capabilities. 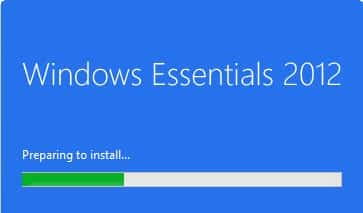 Apart from this, the Windows Live Essentials 2012 also includes; Live Mesh ( cloud enabled software to sync files between connected computers, Family Safety (comprehensive parental control ), and Messenger Companion (basically an addon to your browser that displays links shared by your contacts). Microsoft stops Windows Live Messenger, moves to Skype: Download Skype 2018 version. Microsoft stops Windows Live messenger service and the last version of this tool is 16.4.3508.205. Therefore, the link to the offline installer has been removed. Microsoft now owns Skype and it is their preferred platform for VOIP, Instant messaging, and video calls. If you wish to install Skype, download is, here. The latest Skype 8 is far better and user friendly than Windows live messenger and works flawlessly. Unlike Windows Live messenger, Skype is available for all desktop and mobile operating systems. Skype supports Facebook login, and has more user-base. Skype lets you call mobile phones at cheap rate. Skype is a Microsoft company and is deeply integrated with One Drive, Outlook and all other MS services. Microsoft advises all users to get Skype for video calls on messaging on Mac, Android, Windows, Linux and iPhone (iOS) in 2018.